18 Tags. Tagged under Nomura Tetsuya, SQUARE ENIX, Series and Games. Final Fantasy (Japanese: ファイナルファンタジー Hepburn: Fainaru Fantajī?) is a media franchise created by Hironobu Sakaguchi, and is developed and owned by Square Enix (formerly Square). The franchise centers on a series of fantasy and science-fantasy role-playing video games (RPGs), but includes motion pictures, anime, printed media, and other merchandise. The series began in 1987 with the eponymous video game conceived by Sakaguchi as his last-ditch effort in the game industry; the title was a success and spawned sequels. The video game series has since branched into other genres such as tactical role-playing, action role-playing, massively multiplayer online role-playing, racing, third-person shooter, and fighting. Although most Final Fantasy installments are supposedly independent stories with different settings and main characters, they feature identical elements that define the franchise. Recurring elements include plot themes, character names, and game mechanics. Plots center on a group of heroes battling a great evil while exploring the characters' internal struggles and relationships. Character names are often derived from the history, languages, and mythologies of cultures worldwide. The series has been commercially and critically successful; it is Square Enix's best selling video game franchise, with more than 100 million units sold, and one of the best-selling video game franchises. It was awarded a star on the Walk of Game in 2006, and holds seven Guinness World Records in the Guinness World Records Gamer's Edition 2008. The series is well known for its innovation, visuals, and music, such as the inclusion of full motion videos, photo-realistic character models, and orchestrated music by Nobuo Uematsu. Final Fantasy has been a driving force in the video game industry. 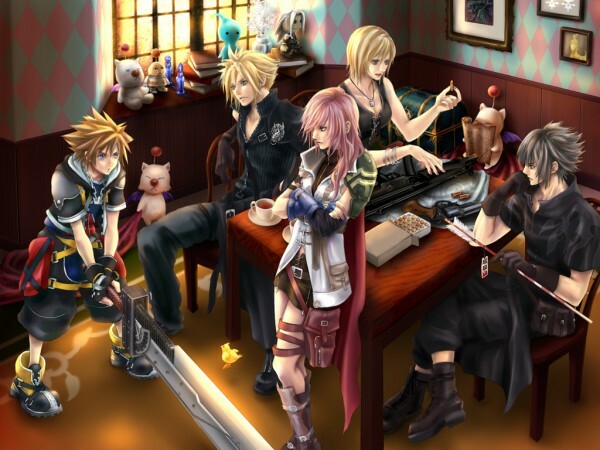 The video game series has affected Square's business practices and its relationships with other video game developers. It has also introduced many features now common in role-playing video games and has been credited with helping to popularize console-based RPGs in markets outside Japan.